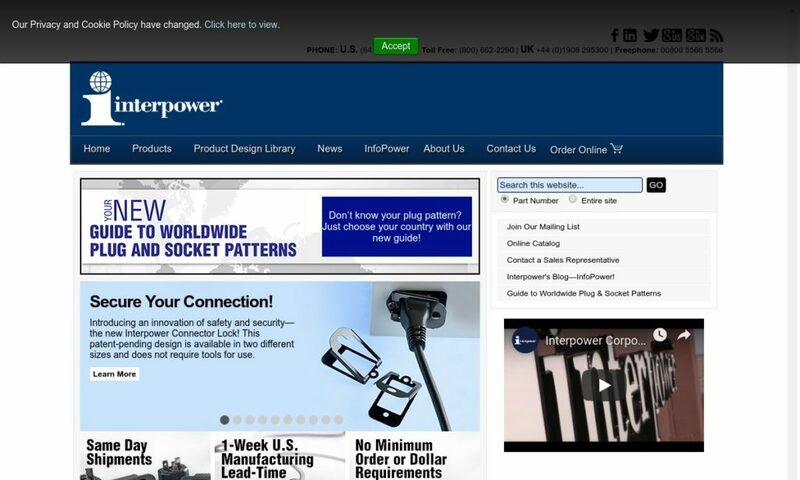 A reliable source for Power Cords information and a resource for accessing leading Power Cords and suppliers. Cord sets are electrical cables used to connect an appliance or piece of equipment to a main power source. When connected, they provide electrical energy. They are also sometimes known as power cords, power supply cords, or electric cords. They are distinct in that they have connectors molded to their cords at each end, and they are detachable from both the power supply and the electrical equipment. Power Cord Manufacturers Cord Sets are electrical cables used to connect an appliance or piece of equipment to a main power source. When connected, they provide electrical energy. Our customers find we have the highest standards when it comes to quality, and delivery. 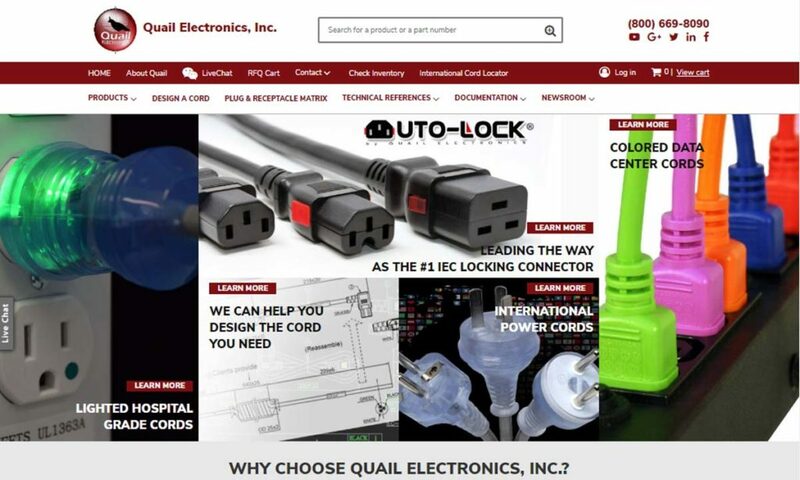 Quail Electronics is a worldwide power cord supplier, offering power cords and various other products. 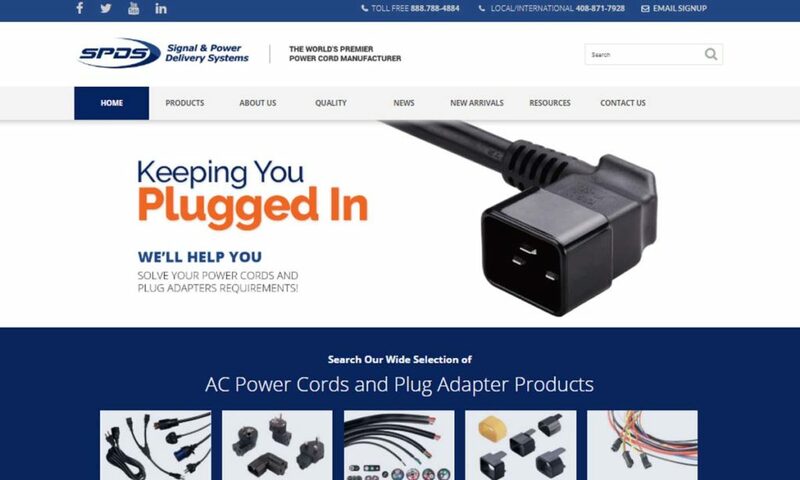 A power cord manufacturer, with over two million monthly productions of power cords, is Signal and Power Delivery Systems. They provide in-house wire extrusion and connector production assures the best price, quality and unmatched lead times. 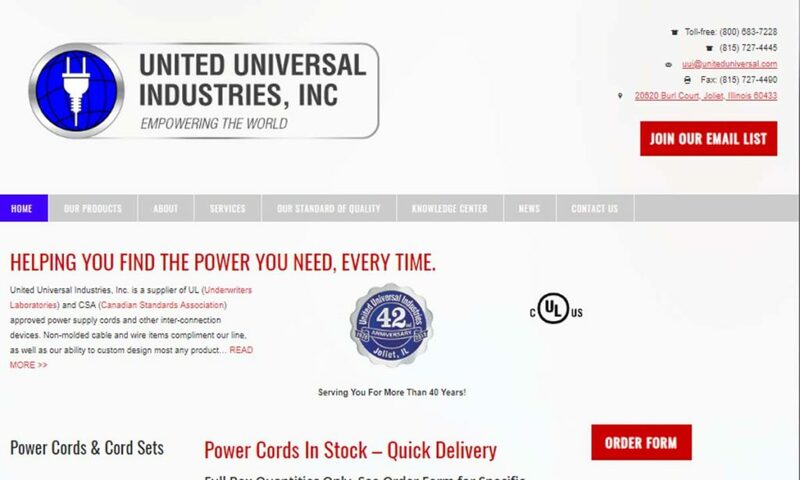 United Universal Industries is a leading supplier and manufacturer of various power cords, wiring harnesses and special molded products for a wide range of industries and markets. All of our power cords are tested and stand up to rigorous demands of everyday application. We serve a global market including the United Kingdom, Ireland, Germany, Switzerland, Austria and of course the United States. MEGA is a leading supplier of cordsets, appliance cord sets, electronic cord sets, electric plugs, electric receptacles and power supply cords. The earliest power distribution system in the USA, an ancestor of the cord set, was created in 1882 in New York City, by Thomas Edison. (He created one much like it earlier that year in London.) The system carried DC power from his power plant, Pearl Street Station, to customers within the surrounding mile. It relied on copper rods wrapped in jute (a vegetable fiber) and placed in rigid pipes with an asphalt-esque compound for insulation. Power Cords – Quail Electronics, Inc.
Later in the 1880s, people began using vulcanized rubber, which had been patented in 1844 by Charles Goodyear, as cable insulation as well. It gained such popularity that, in 1897, rubber insulated cable was installed to house 11,000-volt circuits for the Niagara Falls power project. By World War II, cables used during war were being made with polyethylene and synthetic rubber insulation. Power cords and cord sets in the American home have gone through many iterations over time as well. First, they used bare and cloth covered wires installed with staples. Of course, they quickly realized the dangers of bare and poorly covered wire. Next, through the 1930s, they relied on insulated cord sets that, like those discussed above, were covered in asphalt saturated cloth or rubber. In 1906, for example, manufacturers introduced armored cable, known more commonly by the name “Bx.” This cable featured a flexible steel sheath with two cloths covered, rubber insulated conductors. Another popular cord set type was introduced in 1922. This assembly featured rubber insulated wires, jackets made of tar impregnated woven cotton cloth, and waxed paper filler. In the 1950s, manufacturers introduced early two wire PVC-insulated cables, known as “Romex” cable. In the 1960s and 1970s, American homes were encouraged to use aluminum wire as a cheap replacement for copper. However, this was ill-advised and is no longer recommended, as it is unsafe due to corrosion. A more positive shift made in the 70s was the banishment of asbestos as an insulator in cloth wire, when the scientific came to the consensus that asbestos is extremely hazardous to human health. Today, many American homes use cord sets made from three-wire PVC-insulated cable, a product also known as Romex. They also work with power adaptors, like the increasingly popular USB adaptor. The standard power cord set is simply made; it consists of a flexible cord with electrical connectors as both ends (one female and one male), a plug and a plug cover. The cord is made up of highly conductive wire, sheltered by an insulative material, sealed in a protective outer jacket. One end of the cord is attached to a molded electrical plug, while the other is usually a molded electrical receptacle. Typically, the conductive wire used in cord sets is copper. This has been a constant for virtually the whole of the cord set’s existence. Insulative materials are chosen for their temperature rating and non-conductive nature. Examples of insulative materials cord set manufacturers commonly use include: PVC, semi-rigid PVC, plenum PVC, polyethylene, polypropylene, polyurethane, chlorinated polyethylene, nylon, thermoplastic rubber, styrene butadiene rubber (SBR), silicone, fiberglass, ethylene propylene rubber (EPR), plain rubber, chlorosulfonated polyethylene (CSPE), ethylene propylene diene monomer (EPDM) and thermoplastic elastomers (TPE), among others. Jacketing materials are typically some type of thermoplastic or rubber, such as: TPE, PVC or neoprene. The choice of which varies based on characteristics, like: oil resistance, heat resistance, moisture resistance, etc. Cord construction is subject to a number of standard regulations, relating to voltage ratings, current, wire length and diameter, maximum cable temperature, jacket material, and the type of molded plug and female receptacle to be used. While manufacturers must always determine cord construction based on standard regulations, they can customize them based on application requirements. For instance, wire shape (flat or round) and wire gauge are determined by the requirements of the application for which the power cable is intended. Likewise, jacket material is also determined by application requirements. For example, for rugged outdoor use, a jacket will be made of waterproof material. Cords placed in an area of high electromagnetic interference may require jackets with extra protection. Manufacturers may also customize your plug power cord type (rotating, snap-on, screw-on, locking, etc. ), your cordset color and/or your cordset length. Cord sets can transfer electrical power using either direct electrical currents (DC) or alternating electrical currents (AC). However, most modern cords feature AC. An AC power cord is more efficient and transmits power over long distances much better than a DC power cord. Their force is measured in units of volts, or volt amps. To work, cord sets must be plugged into an outlet or electrical receptacle. Cord sets can be detached at both ends, from both the electrical equipment and the power supply. The female connector connects to the equipment or appliance, while the male plug attaches to the outlet or electrical receptacle. The cords can be permanently molded to a plug or they may require a separate power adaptor, also known as an AC adaptor or outlet adaptor. 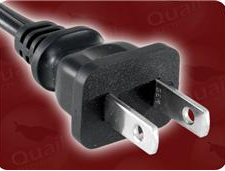 The two most common plug types in North America are called Type A and Type B plugs. Type A plugs have two conducting prongs, while Type B have three. The third prong of the latter supplies the cord with an additional flow of electricity and connects it to a grounding rod. The best connections come from a tight fit between the plug and the wall socket it fits in. Power adaptors plug into a wall outlet and convert AC into DC voltage. They can be made in a wide variety of styles, including: North American, International, Universal, IEC, double, single and USB. Additional cord set components may include: a leak detection system, electrical fuses to protect against voltage surges, protective material to reduce the influence of electromagnetic energy and a system for checking voltage. Some specialized cord sets include business machine cords, heavy duty cords, hospital plugs, NEMA power cords, right angle power cord sets, power strips and extension cords. Business machine cords are made for use with computers and computer-related equipment. Heavy duty cords are designed to withstand the rigor of harsh, heavy-usage environments found as a part of many industrial and commercial applications. To create a non-slip grip, their heads are large and flat, with deeply contoured ridges; to protect the connection between the cord and plug, they have a heavy, molded strain relief shroud. To create the durability that high-stakes medical equipment applications need, hospital plugs have conductors that are welded or soldered to solid brass pins and blades. NEMA power cords are those that are made to match the exact voltage capacity and electrical receptacle configuration standards of NEMA. Available with either two-conductor or three-conductor plugs, right angle power set cords are designed to allow users to plug electrical equipment into small spaces without bending or otherwise damaging the cord. Power strips are blocks of electrical sockets attached at one end to a flexible cable that (typically) plugs into a wall. Their purpose is to allow multiple electrical devices to be powered at once from a single socket. They’re often used in proximity to multiple devices, such as: computer systems, power tools, lighting systems, audio and video systems and general appliances. They are suited for both the home and the workplace. To avoid overloading a short circuit, power strips may come with a circuit breaker. Other names for the power strip include: polysocket, multiple socket, multiple/multi socket, multi box, power board, power bar, plug board, extension block, trailing socket, trailing gang or plug bar. Extension cords are extra-long cords that carry electrical currents hundreds of feet away from an outlet. They are made to power specialty equipment, like stage lighting equipment, power tools and emergency medical defibrillators, that is used away from a convenient power source. Cordsets offer a wide range of advantages. First among them is versatility. Because they aren’t attached to any one appliance or piece of machinery, they may be used for multiple applications (provided they are compatible). In addition, manufacturers have a lot of design freedom within standard parameters. They are also easy to install and uninstall, simply requiring that you plug them in. Another benefit of cord sets is that they are generally small and portable. They also often provide EMI/RFI shielding. Cordsets can be purchased with a wide variety of accessories. Examples include: adaptors, fuses for overcurrent protection, insulating tape, high temperature silica tape, shrink tubing, grip seals, cable cutters, a pilot lamp, a leakage current detector, wire strippers and cable sleeving. Find out what accessories might serve you by talking to your supplier. Cord sets are widely used and invaluable to our modern world. However, since they carry an electrical current, it’s important to take safety precautions when using them. For example, to avoid electric shock, sensitive electrical equipment and products should only be used with grounded or polarized cord sets. Plug polarization is important because it connects the cord to the neutral, aka grounded, side of the circuit. Precautions include the use of plug covers, waterproof protective materials, fuses, and circuit breakers. In addition, to avoid injury, death and/or extensive property damage, you need to watch for and reduce the risk of deterioration, malfunction, or misuse of equipment. 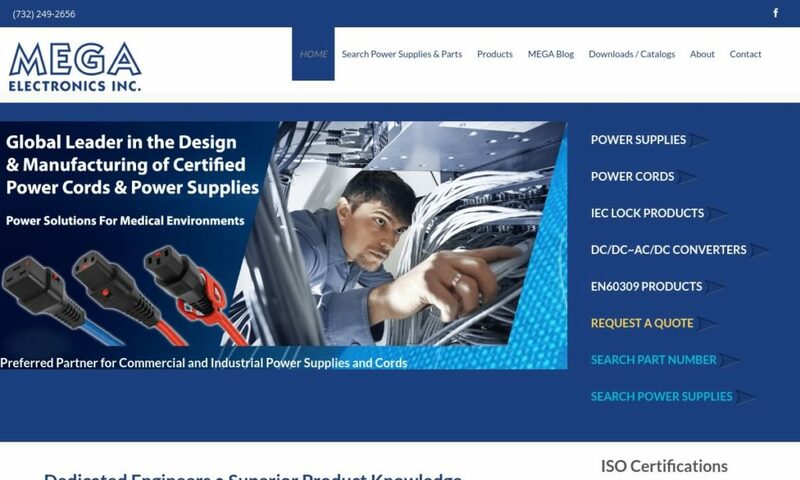 In the United States, the National Electrical Manufacturers Association (NEMA) is responsible for setting forth regulations on cord voltage capabilities, electrical plugs, and receptacle configuration. These standards are designed to secure operator safety and product quality. American Wire Gauge (AWG) designates standards for cord wire sizes and voltage capacities. (This means that appropriate wire size is determined by the amount of voltage required to flow through it.) Other countries adhere to their own standards, which is why their electrical cord set components have different voltages and plug configurations, and why travelers must use international power cords or plug adapters while abroad. In addition, an excellent organization that partners with companies to provide testing for adherence to standards is UL. UL helps ensure quality and strengthen sustainability for products used in the both the USA and abroad. A manufacturer that works with UL is a big advantage. For an important industrial, commercial or medical application, you need a high-quality cord set that matches your specifications. If you end up with the wrong one, you risk system malfunction, leading to costly, time-consuming or even dangerous lapses in function. You also risk shortages that could spark fires. If you want to be absolutely certain that you have the right cords with the best material composition for you, you need to work with a cord set professional. We know choosing one supplier from the countless suppliers out there can be daunting. That’s why we’ve taken the time to search the crowd for you and come up with the best companies in the business today. You can find our choices by browsing this page; we’ve interspersed their profiles throughout.  Browse their profiles and websites, and then reach out to a few in whom you’re interested. While searching, remember: the right manufacturer won’t be the one that just offers great deals, but rather the one willing to put in the time and effort to create products that will serve you well. Hold out for that manufacturer. Good luck!